Cynthia Leah Hallen is a linguist and professor of the English language. She was born in Green Bay, Wisconsin. She joined The Church of Jesus Christ of Latter-day Saints when she was living in Phoenix, Arizona. She earned her bachelor’s degree in English and her master’s and Teaching English as a Second Language (TESOL) certificate from Brigham Young University. She went on to earn her PhD in rhetoric, composition, and English teaching from the University of Arizona. 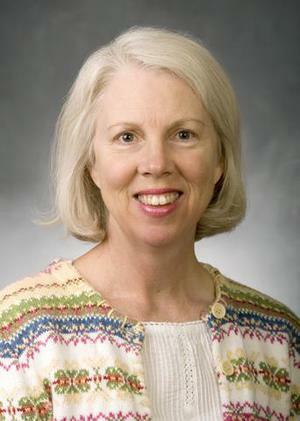 She is an associate professor of English Language in the Linguistics department at BYU where she joined the faculty in 1991. From 1990 to 1991 she was a freelance linguist in the translation department of the Church of Jesus Christ. Her research interests include translation, exegesis, philology, Aymará Studies, Comparative Historical Linguistics, Composition and Rhetoric, Contrastive Rhetoric, Creative Writing, Early Modern English, Scandinavian studies, , and Emily Dickinson studies. She is the editor of the Emily Dickinson Lexicon. Hallen is a figure skater and is a member of the Timpanogos Figure Skating Club in Provo, Utah. This page was last edited on 25 January 2015, at 00:42.